Text messaging has been around since the ’90s (SMS technology was developed in 1992) making it ancient by today’s fast-paced marketing standards but has suddenly become the marketing weapon of choice amongst savvy marketers and business owners due to its impressive ability to instantly engage customers which is one of the top challenges facing most marketers and business owners today. 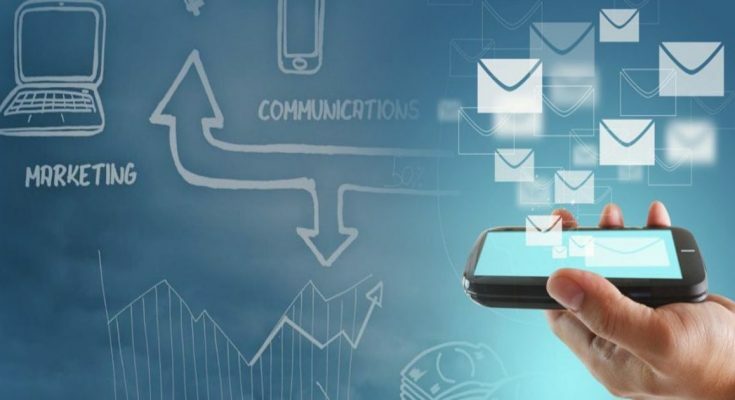 In this article, I’ll share five reasons why Bulk SMS is becoming popular once again and will continue to do so for a long time to come. One of the challenges of email marketing is that it can take a long time to craft a good email. You’ve got to write a compelling subject line, write good copy, position the offer correctly, attach images (or have a graphics person design them), check all of the links are working, etc. And this is all at the primary level. When I craft an email it takes a copywriter, graphics person, HTML coder, proofing team and rounds of edits before it’s ready to go out the door, this takes a couple of days to complete. Preparing a bulk SMS campaign is a lot easier. You write the message and offer, select the recipients, check the landing page (if any), check the link (if sending to a landing page) and hit send. Emails, unfortunately, have an incredibly poor ability to grab the attention of the recipient; according to mailchimp.com, the average open rate sits at around 20.1%. That means around 80% of people never see your offer. SMS, on the other hand, delivers a solid 82.1% open rate essentially flipping the email numbers on its head! This naturally means more sales conversions because the more people who see your offer the people will buy and you could expect to see your sales at least double using SMS over email. If we take a look at the costs of other marketing channels, it soon becomes apparent that SMS is one of the cheapest forms of marketing out there. Google AdWords is highly, but on average you’re looking at $2 per click (going all the way up to $50+) and Facebook at anywhere from 42 cents to $2+ per click. Email campaigns are “free” to send, but when you look at the monthly fees, it can get expensive especially if your list reaches into the thousands. Keep in mind that 80% of these people will never see your message on an average campaign, and if you’re not cleaning your list frequently you will be paying for people who have unsubscribed as well! With SMS it doesn’t matter if you have one subscriber or 1 million you’re not charged on how many subscribers you have, you’re charged based on how many people you send your campaign out to. For each SMS it only costs 2-6 cents to get in front of anyone on your list at any time. Big companies have deep pockets which means they can outspend the smaller businesses on virtually every channel. With SMS though, there is no way that big companies can buy up all of the SMS credits, or drive up the per send rates which means small businesses can compete on a level playing field. Large businesses have large teams of marketers, and that combined experience makes it easy to crush small businesses especially when it comes to online marketing. This means small businesses can send out an effective text messaging campaign very quickly. It takes two days on average for a person to read an email and only 90 seconds for a person to read an SMS message. This means that you can drive sales not long after your campaign has gone out, this is great for restaurants who need to book tables on a slow night quickly, or for salons who need to replace a canceled appointment immediately. When it comes to selling speed is a huge advantage.